Student Activities offers more than 100 events each year, including concerts, movie nights, art expos, and campus favorites such as Coffeehouse and Block Party. Recreation Centers plays a key role in offering students diverse recreation opportunities, as we strive to meet the needs of our growing community. 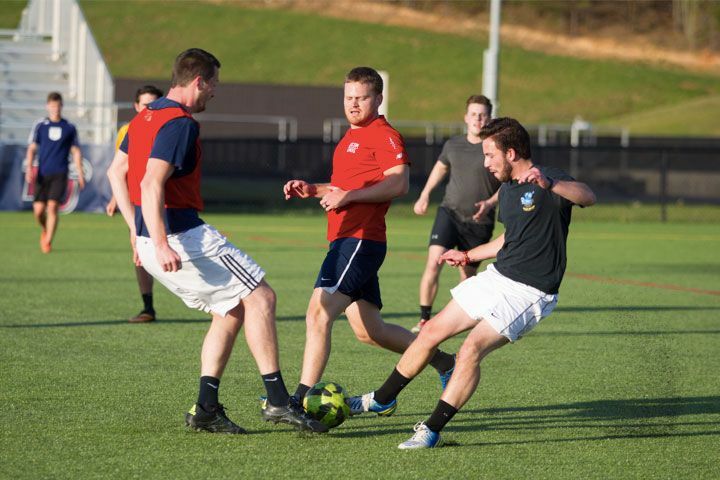 Intramural Sports are organized recreational sports leagues that allow students at Liberty to participate in a variety of team and individual sports. Outdoor Recreation provides outdoor trips, events, trainings, and manages the Hydaway Outdoor Recreation Center. Campus Recreation proudly serves the Liberty University community with a wide variety of programs and facilities. With recreation professionals in various fields, our staff passionately lends their expertise to help you maintain a healthy lifestyle and comes alongside you to help round out your college life with experiences outside of the classroom. Campus Recreation can help you get plugged in to campus life. We are here to help you connect socially, challenge you physically, and provide educational opportunities. So whether you are looking for a place to workout, to enjoy latest concerts, a chance to join a team, or some time in the great outdoors, we have something for you.